This is the true story of a 15,000-kilometer journey in the footsteps of one of the most devastating natural events on our planet: the Atlantic Hurricane. Filmmakers teamed up with NASA to follow the footsteps of the Atlantic hurricane as it begins its journey as an ominous sandstorm in Senegal, heading west across the Atlantic building momentum as it tosses ships on growing swells, then crashes into the jungles of the Caribbean. Ants, lizards, bats, frogs, horses, men, rivers, ocean reefs… all bend before the power of this monsoon turned magnificent. 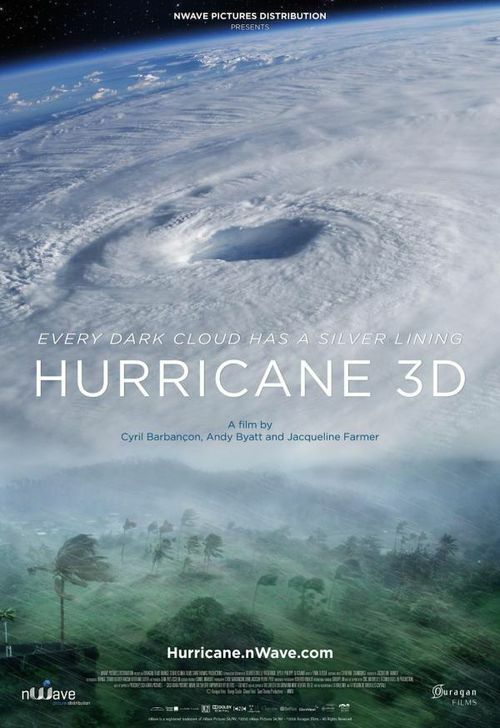 124 mph winds, 18 cyclones, 12 countries…the hurricane is the film’s main character and the supporting cast consists of the men, women, plants and animals that it encounters on its journey.